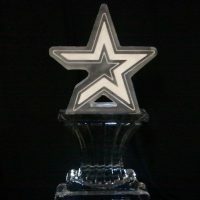 Ice Designs provides a full range of handcrafted ice sculpture products to customers throughout Houston, TX. Contact us for fully functional ice bars, shot glasses, ice plates, ice furniture and so much more. We’ve provided clients with amazing designs for all types of events including weddings, holidays, corporate parties and birthdays. Contact us to begin planning and customizing your ice sculpture! 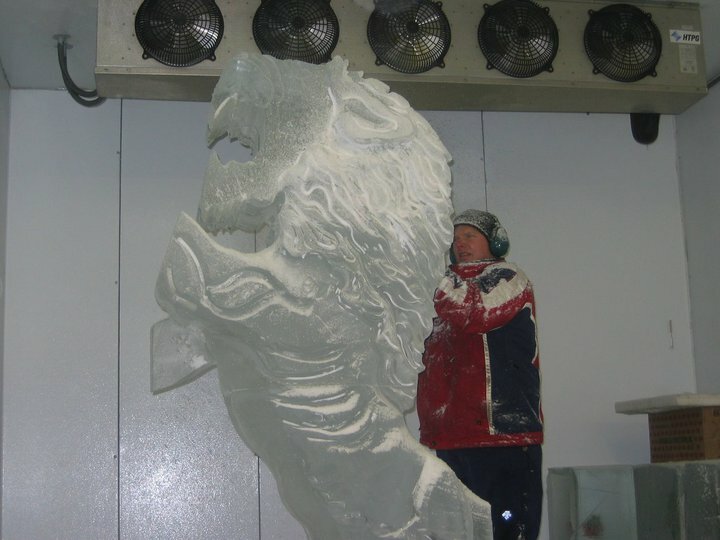 We have more than 23 years of professional ice sculpting experience. We’re able to customize virtually anything for you and take pride in the caliber of our work! 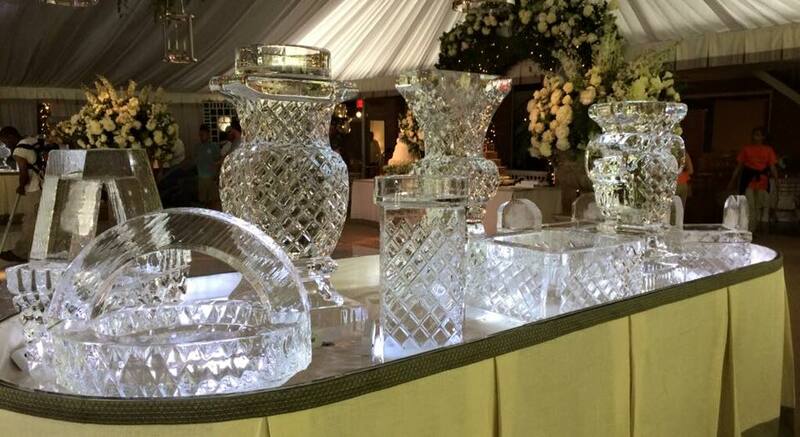 Owner Don Henley and his wife, Stacey, started Ice Designs at their first Bridal Extravaganza in January 1995. We’ve gradually built this company with a professional dedication to high quality products and customer service. Don graduated from the University of Houston with a degree in Hotel and Restaurant Management in 1994. During college he started sculpting ice for fun. As time went on, he realized this was his life passion! Ice Designs is a family-owned and -operated business. 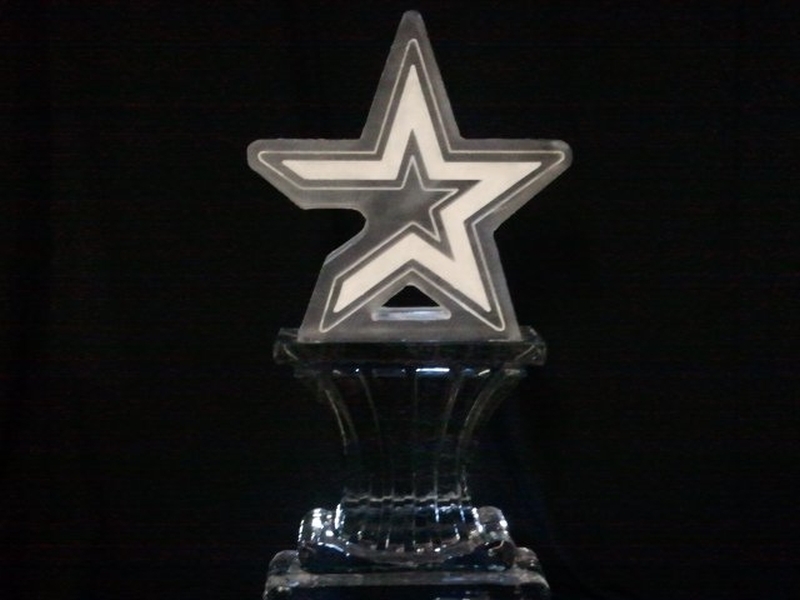 We have been in the Houston, Texas area since 1995 providing top quality ice sculptures. 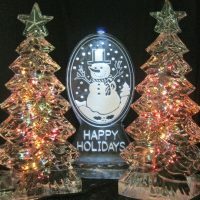 Not only do we provide larger ice sculptures for centerpieces, we can do smaller items like shot glasses and sorbet plates, as well as beer mugs in a high quality. We’re competitively priced and provide quotes on everything upfront. We can also provide peripheral services including setup, lighting and takedown. Please aim about a month in advance when placing your order! We create our own ice blocks in house and need time to prep and plan for carving them. 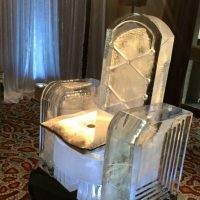 From gala events, to company parties, to private birthday bashes, few things captivate event-goers like a professional ice sculpture in Houston, TX! 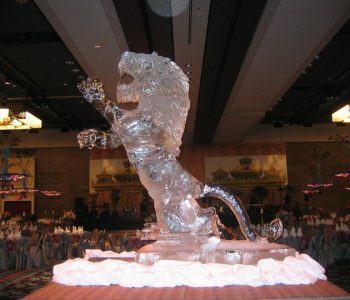 At Ice Designs, we’ve been creating beautiful centerpieces and jaw-dropping ice sculptures since 1995. 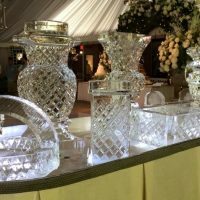 We’ve helped clients from all backgrounds create stunning masterpieces out of ice for their events—everything from simple custom wedding centerpieces to full bars featuring shot blocks and ice luges! 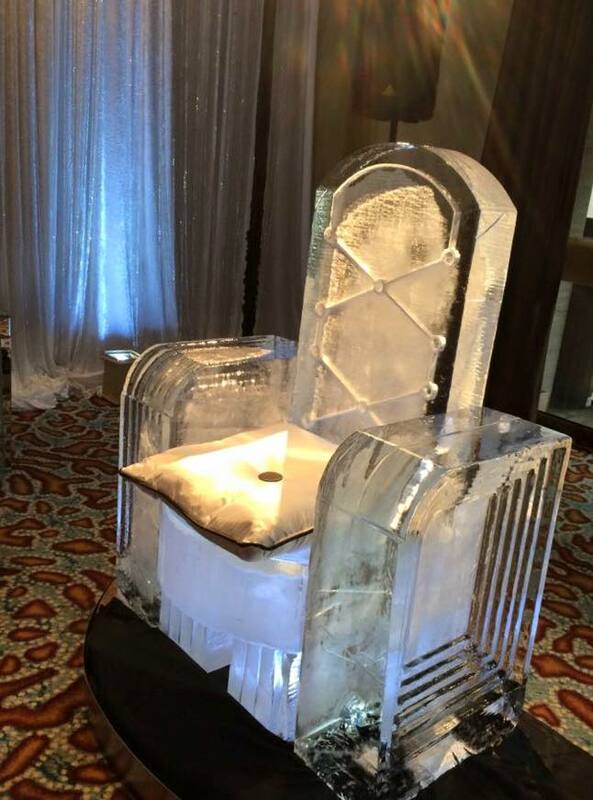 We’re masters of ice design in Houston, TX and always customize our creations around the theme of your event. 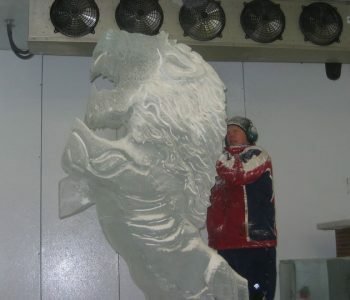 Our abilities span all different sizes and types of ice sculpture. 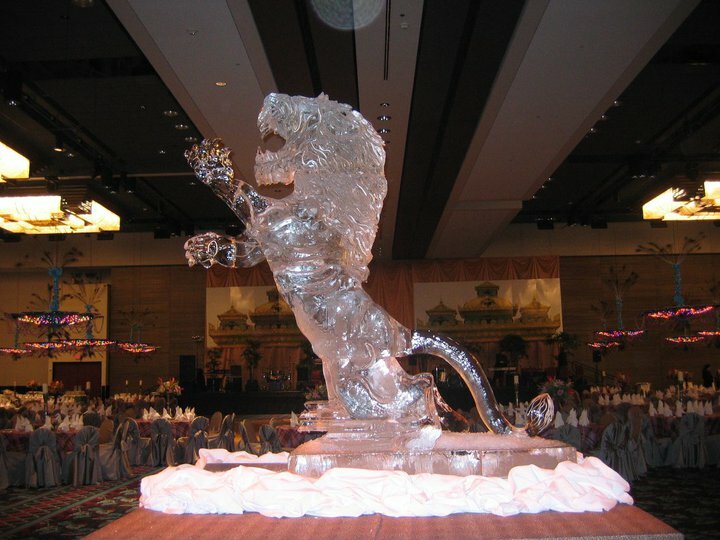 From huge display sculptures to tiny table centerpieces, to ice luges and shot blocks, we carve with precision and purpose. We even provide all of the essential services to make sure your ice looks beautiful—including setup, lighting and display, and takedown services. Our skilled sculptors have the aptitude and experience to make any and every occasion a special one with our custom ice designs. Let our dedicated team make your next event positively unforgettable! 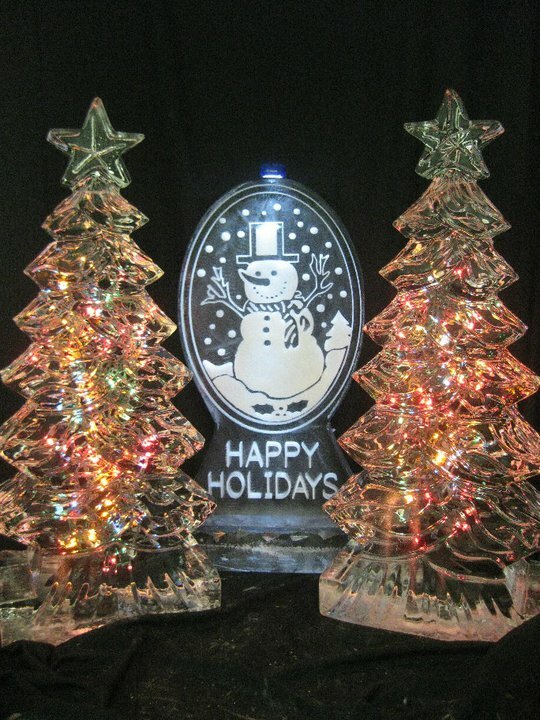 Let Ice Designs deliver an ice sculpture or ice bar that steals the show at your next event! You customize the design, we’ll take care of the carving. Contact us today to get started. And many others! Please, call for consultation and delivery availability.